A hand-held and handmade 12-bar chime. 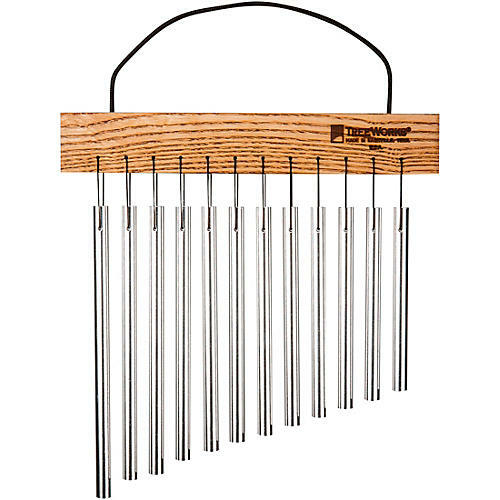 This Compact Single Row Chime from Treeworks features polished, tempered bars for brilliant tone. The bars are crafted from 3/8" thick solid Aluminum/Titanium alloy and hand-tied with braided CordLoc. The chimes hang from a hand-finished Tennessee White Ash Mantle. Handmade and US-crafted for a sound that matters. Order today.